I love everything at Anthropologie. It's like eye candy, am I right? However, my budget does not always allow for some of their high priced items. I saw these plates and fell in love. The bright colors are perfect for summer and they have an ikat look to them which I love. 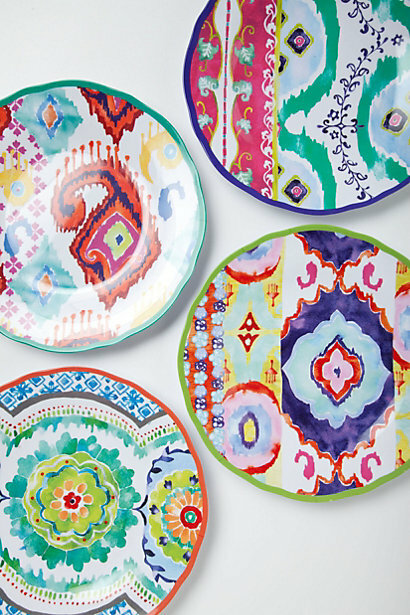 They are called the Hacienda melamine plates. They are not available anymore, but similar plates sell for $18.00 each on their website. So, I created my own and you can too! All you need is some white dinner plates from the dollar store and a wide variety of sharpies. This is actually our next craft night project, so I wanted to try it out first and see how difficult it was. I pulled up the Hacienda plate image on my computer and sitting at my desk used the picture for a reference and free handed the designs. You really can't screw up this project because the pattern is so imperfect anyway. Obviously these are for decorative purposes only. 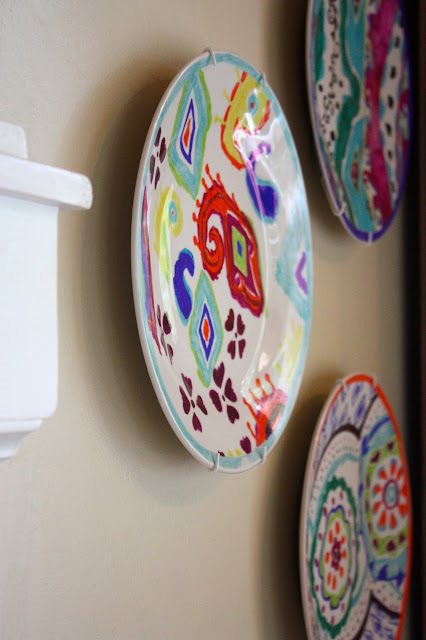 You can hang them on your wall or use them as charger plates with small white salad or dessert plates. They were actually a lot of fun to make, and super easy. Think I'll try this with the kids too and see what they come up with! Wouldn't they be fun to add to a kids gallery art wall? Have fun with your plates and pens! 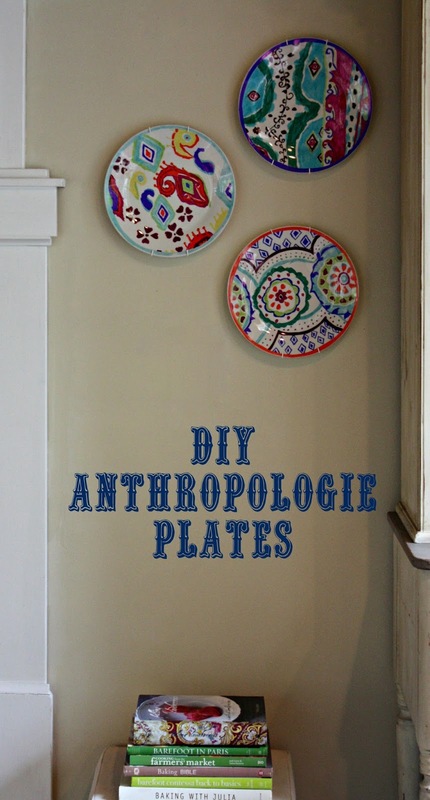 This is a super cute idea, especially as charger plates or for the kids! I assume you baked them? What temp and how long? This is so fun! I am eager to create a few. I do love Anthropologie things and they are pricey! I love this idea. I have seen some really cute mugs done with Sharpie and then baked that then I believe you can eat/drink out of. I'm actually assuming you didn't bake these... do tell. I just may have to try this out and share on my blog. I hope you don't mind if I spread your name and blog and link far and wide! I have lots of friends who would love your blog! Oh my gosh! Love this idea! 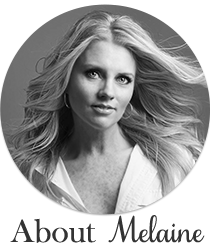 So cool Melaine! Love that idea! This a great and cute idea. These are awesome--great job! I featured you today on my Kick-Off Friday post! Have a wonderful weekend! I like the idea of doing this with the kids! Maybe even handprints or something? I did a kid art gallery wall with my boys' school art. Here: http://jessicacarrier.com/kid-art-gallery-wall Maybe I will add some art plates to it. How did you hang them?